My true love gave to me, All the Way: My Life on Ice by Jordin Tootoo and Stephen Brunt. 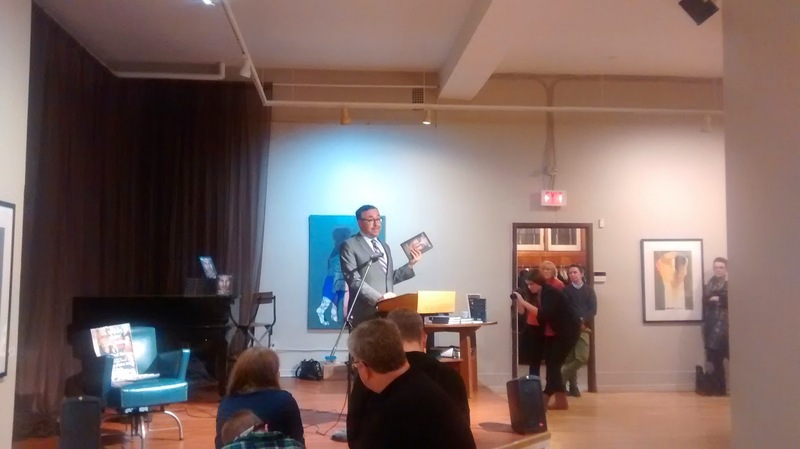 In early November, sports journalist Stephen Brunt launched his latest book at Gallery on the Bay. 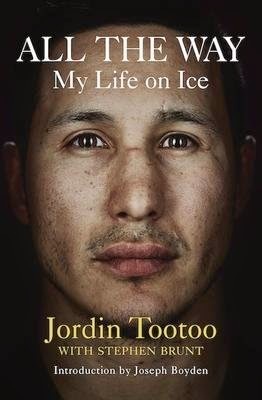 He told the crowd that he was reluctant to write All the Way: My Life on Ice, a collaboration with Jordin Tootoo, the first Inuk player in the NHL. Brunt had co-written a sports biography before, and he wasn’t sure he wanted to write another. However, Tootoo’s story was one that needed to be told. I’m a hockey fan. But I’m not a hockey fan. I watch Leafs games, I check standings, but I definitely don’t read hockey memoirs. But All the Way is anything but your typical hockey memoir. Tootoo’s candour is remarkable, as he shares his darkest moments with readers, from his older brother’s suicide to his own alcoholism. All the Way is above all a story of perseverance. A less-than-great cell phone shot of Stephen Brunt reading from All the Way at Gallery on the Bay.